Lauren Bacall & Humphrey Bogart protesting against McCarthy! 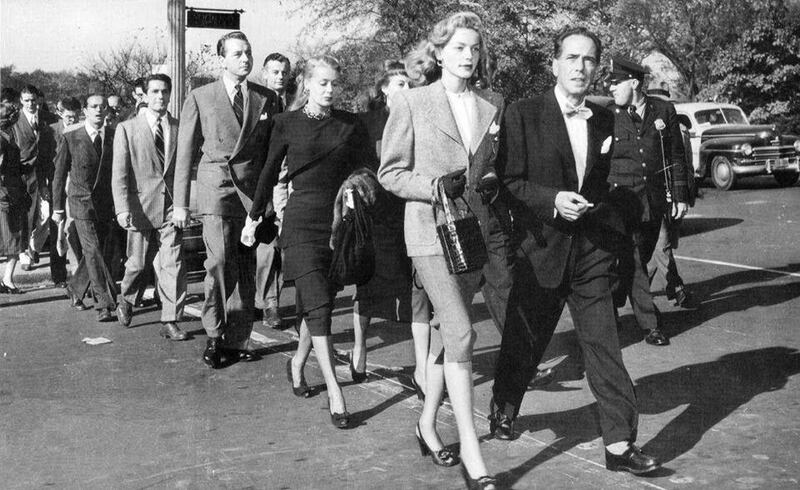 Lauren Bacall & Humphrey Bogart lead a march to the Capitol in Washington, DC to protest against Senator McCarthy’s witch hunt of communists and alleged communists, 1947. Next Next post: David Bowie at Madison Square Garden!